I love yogurt. In fact, there is a tub of yogurt on the top shelf of my fridge on a regular basis. It only makes sense for me to also be fond of any type of borani…well unless someone decides to make one with Brussels Sprouts, then the chances are as high as 99% that I will not be a fan. 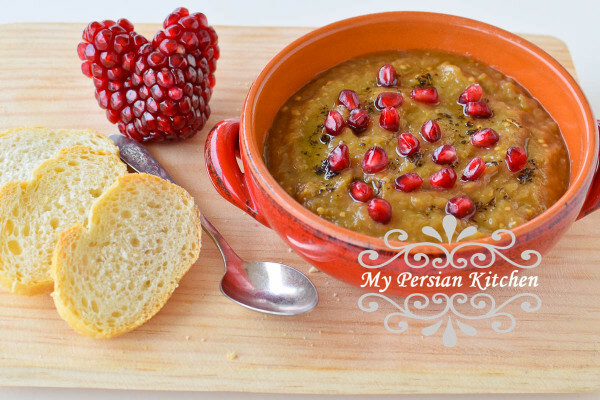 In my humble opinion eggplant and pomegranate go very well together, hence, today’s recipe. 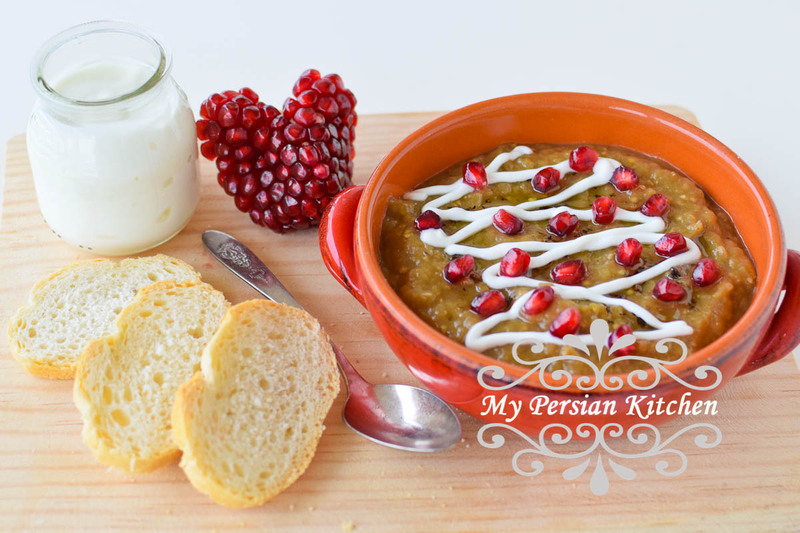 I hope you will enjoy today’s recipe as much as I do! 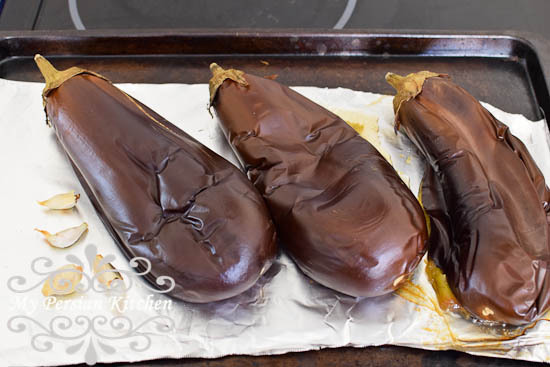 You can roast or grill the eggplants. Just roast them along with the garlic. 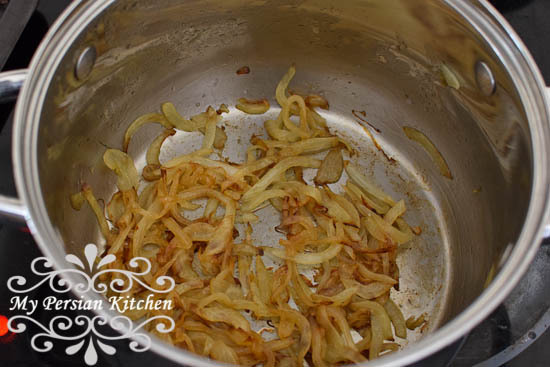 For best results allow the onions to slowly cook until golden. 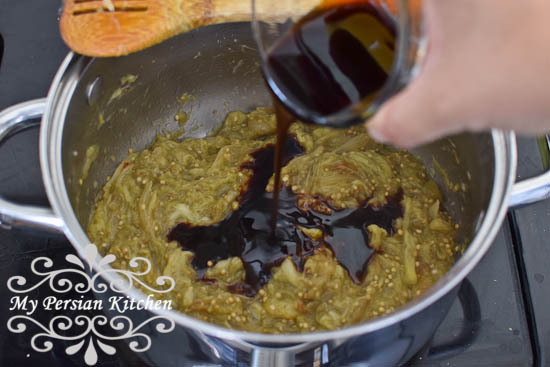 The pomegranate molasses that I used is one the sour side. If you prefer your final product less sour, then you might want to add a bit of sugar to balance things out a bit. 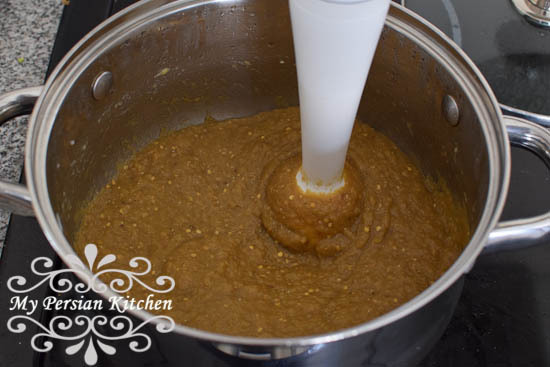 An important part of this process is to use a hand blender to process the dip. If you are vegan, or need a vegan option, you can omit the yogurt. 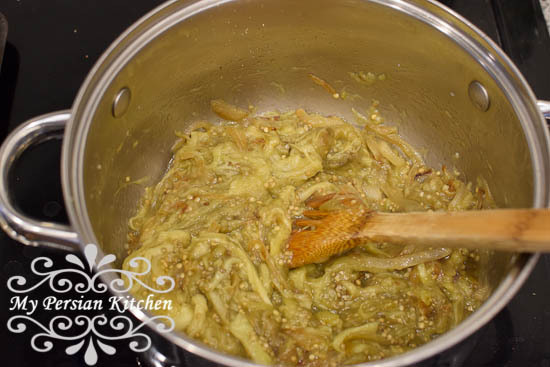 Cook eggplant and onion for 15 minutes stirring constantly so that any moisture is evaporated and the eggplant is fully cooked. Decorate with a few pomegranate arils.